You’ve been waiting for a long time for this. 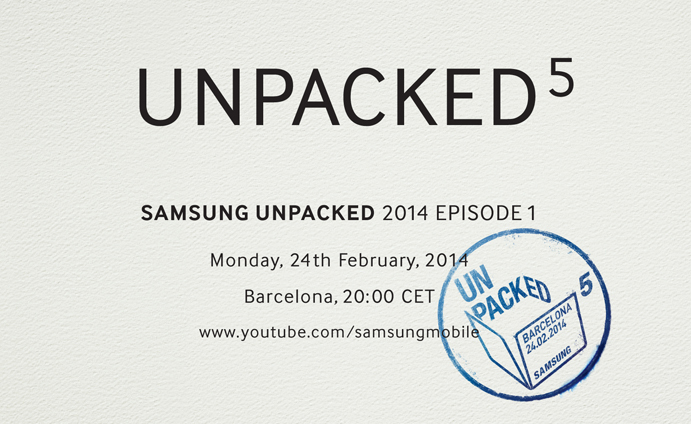 Samsung Unpacked 2014 Episode 1 is coming up! On March 2013, Samsung introduced the Galaxy S4, on September 2013, Galaxy Note 3 and Gear. These events were also live-streamed on official Samsung channels. Live blogging was also available on Samsung Tomorrow. At the Samsung Unpacked 2014 on Monday, February, 2014 what can you expect to see? Mark the date and come visit us to see the unpacking of The Next Big Thing(?.. even the Samsung Tomorrow team doesn’t know yet), live on global.samsungtomorrow.com!